Situated between Murrells Inlet to the south and Surfside Beach to the north, the community of Garden City straddles Georgetown and Horry counties and is a noticeably different kind of community than its neighbors to the north. 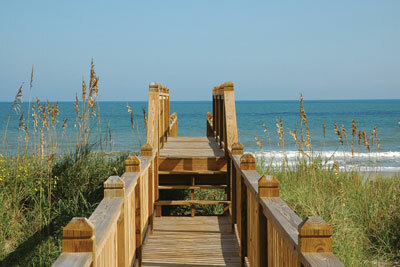 The topography of the Garden City area is the first noticeable deviation from the uninterrupted stretches of sand for which Myrtle Beach is known. Here great marshes and winding creeks divide the Garden City of the highway from the Garden City of the ocean. You`ll also enjoy the best sunsets AND the unobstructed view of the Atlantic and Murrells Inlet, where the sun sets in brilliant form each and every day. On business 17, Garden City share the same attributes of most of the Grand Strand's main tourist thoroughfares - beachwear stores, restaurants, amusement parks and night spots. Once off the highway, Garden City begins to change significantly. Driving over the causeway, you'll see glimpses of famed "lowcountry" characteristics. 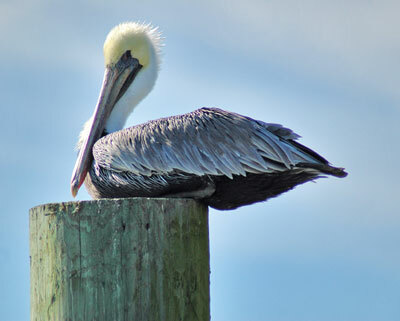 Flat as a pancake, just a few feet above sea level, you'll witness miles of marsh, sea birds, an alligator or two and once on the peninsula of Garden City you'll feel far removed from the hustle and bustle of the Grand Strand. Once over the causeway, the small ocean village takes shape with little neighborhood eateries, taverns, souvenir shops, a bait and tackle store and a handful of the typical kinds of things for which southern beaches are famous. The most predominant feature though is the Garden City Pier. Free sightseeing for the family along its nearly 700 foot length tempts many to rent a rod and reel and give Pier fishing a try. The cafe at the pier's end offers lunch and dinner, cocktails and live music most weekend evenings. Back on land, South Waccamaw Drive, a dead end, runs along the peninsula toward the Marlin Quay Marina, 2 miles down the road. You'll see endless rows of beach homes and condos that make up the bulk of the residential housing in the community. At the end of the road, the Gulf Stream Cafe is one of those hidden treasures that, once found, is revisited time and time again. Not only does the 2-story restaurant boast fine seafood and traditional cuisine, you'll also enjoy the best sunsets on the unobstructed views of the Atlantic and Murrells Inlet, where the sun sets in brilliant form each and every day. Garden City's spectacular waterfront is often missed when traveling along Hwy 17, as the business section of town runs seamlessly from Murrells Inlet all the way to Surfside. Watch for the small signs pointing east and make a concerted effort to visit this hidden treasure of the South Strand! Be sure to check out Garden City Vacation Rentals and Garden City Condo Rentals provided by Surfside Realty if you are planning to spend more time in Garden City.